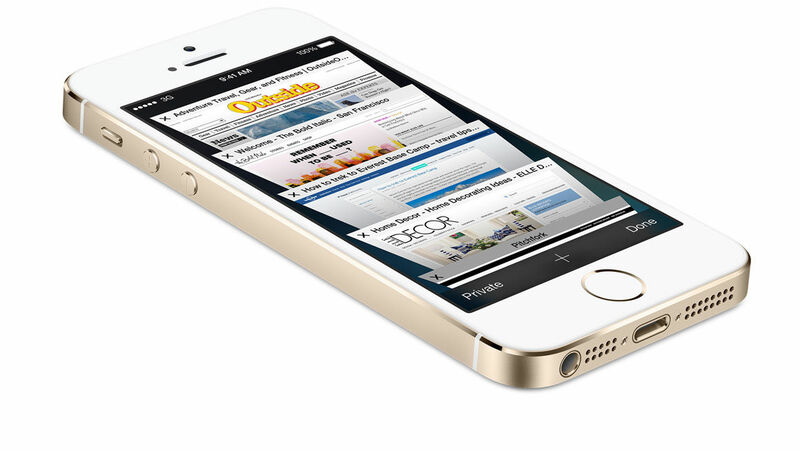 iPhone 5S is the first Smartphone with the 64-bit desktop-class architecture built in a super slim phone. The iOS 7 is specially built for 64-bit architecture that makes the most from the A7 Chip. M7 co-processor gives a sidekick to the A7 Chip making iPhone 5S retain its battery for longer time. The M7 co-processor is highly intuitive and it knows when you are driving or walking or running or simply resting by the movement of the phone. It is specifically designed to measure motion data from the accelerometer, gyroscope and compass. So now, for instance, the maps switches from driving to walking turn-by-turn navigation as it registers the motion between the two activities. Hence, you don't even need bother to about your way while you're in the car or on foot! Entering a passcode to unlock your phone is the thing of past, with iPhone 5S, the futuristic phone Apple introduces Touch ID- a new fingerprint identity sensor. With this sensor you simply put your finger on the Home button and your iPhone gets unlocked. Its the most convenient and highly secure way to access your phone. 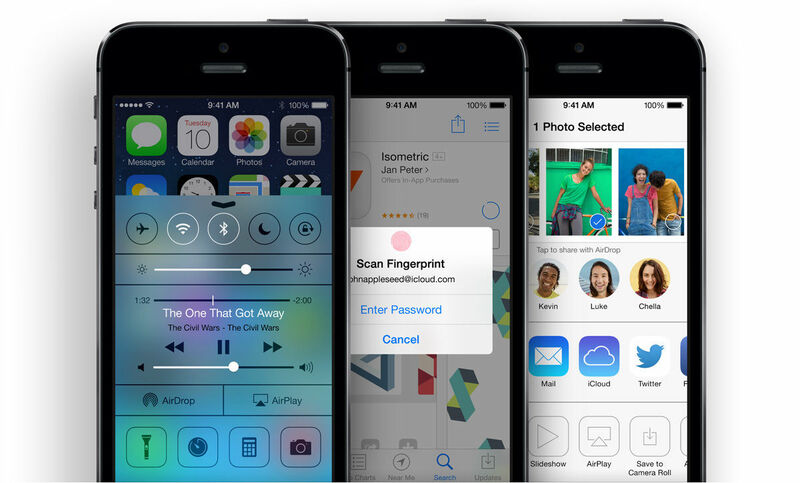 Your fingerprint will also be used for approving purcharses from iTunes Store or App Store. This Touch ID is capable of 360 degree readability hence, your iPhone reads your fingerprint with precision from any direction. You can also save the fingerprints of your loved ones and trusted ones who can have access to your phone too. Click an amazing photo anywhere, anytime! iSight camera becomes even better with iPhone 5S. It has larger sensor, larger pixels and larger aperture so that you can click superb pictures at anytime of the day. Capture multiple shots of any action by clicking 10 photos per second with the continuous burst mode. Boost up your photography creativity with the True Tone Flash in iPhone 5S- a white LED and an amber LED flash light gives you the option to light your subject as per your wish and adjust the color temperature by using over 1000 unique combinations of light. Get better quality pictures with Auto Image Stabilization as it reduces the noise and blur in the photo due to shaky hands or moving subjects. Apart from this, with this fantastic 8 MP iSight camera you can shoot slow-motion video, Panorama shots, and use photo filters as well. Connect with your friends and family instantly like you are sitting right next to them with FaceTime HD camera. 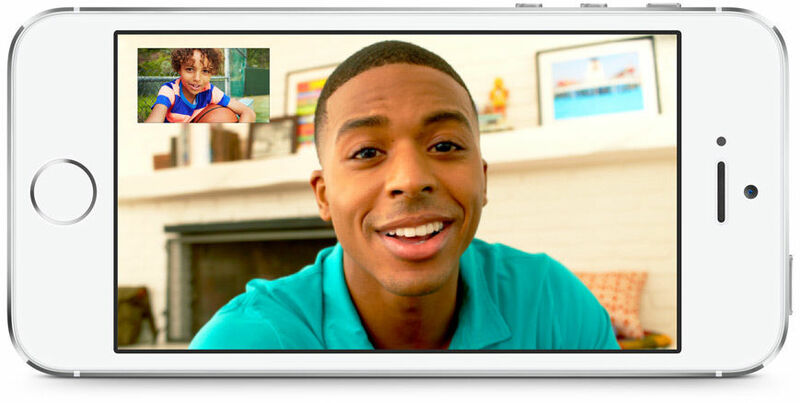 FaceTime video call enables you to talk to your loved ones face-to-face. The HD camera has larger pixels and an improved backside illumination sensor so that you can video call in any light conditions. This feature also has an audio-only feature that shuts down the video and allows you to simply talk over it in case if you don't wish to show yourself to the person. iOS 7 comes with an amazing collection of apps for every other thing that you would like to do on your phone- emailing, texting, shooting and sharing images or videos, getting directions, browsing the web etc. All these built-in apps are optimized to take the advantage of A7 chip's high performance. Apple brings to you the Smartphone of future in the present with their latest iPhone 5S. iPhone has always been forward thinking and here comes yet another marvel in the succeeding series. A 64-bit architecture, A7 Chip, iOS7, fingerprint identity sensor, a better and faster 8 MP iSight camera- makes iPhone 5S the Smartphone that's certainly ahead of its time. A7 Chip, 64-bit Architecture with iOS 7 iPhone 5S is the first Smartphone with the 64-bit desktop-class architecture built in a super slim phone. The iOS 7 is specially built for 64-bit architecture that makes the most from the A7 Chip.A7 Chip endows the phone faster performance giving the user up to two times faster graphics and CPU performance as compared to A6 Chip. All the Apps and iOS 7 are optimised for A7 Chip. A7 Chip also supports OpenGL ES version 3.0 for delivering detailed graphics and complex visual effects on the Mac computers and PCs. M7 co-processor gives a sidekick to the A7 Chip making iPhone 5S retain its battery for longer time. The M7 co-processor is highly intuitive and it knows when you are driving or walking or running or simply resting by the movement of the phone. It is specifically designed to measure motion data from the accelerometer, gyroscope and compass. So now, for instance, the maps switches from driving to walking turn-by-turn navigation as it registers the motion between the two activities. Hence, you don't even need bother to about your way while you're in the car or on foot!iOS 7 was specially designed keeping the iPhone 5 S in mind. This operating system makes the phone smarter in multi-tasking and allows the A7 Chip and all the other latest features take advantage of the system. 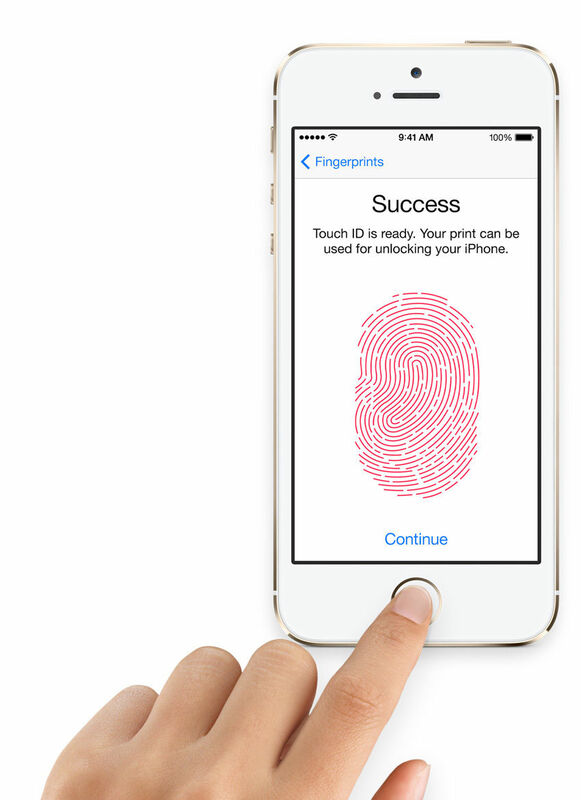 Touch ID- Your Fingerprint, Your iPhone! Entering a passcode to unlock your phone is the thing of past, with iPhone 5S, the futuristic phone Apple introduces Touch ID- a new fingerprint identity sensor. 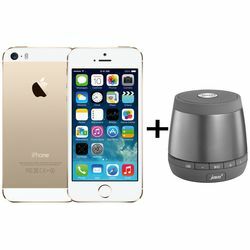 With this sensor you simply put your finger on the Home button and your iPhone gets unlocked. Its the most convenient and highly secure way to access your phone. Your fingerprint will also be used for approving purcharses from iTunes Store or App Store. This Touch ID is capable of 360 degree readability hence, your iPhone reads your fingerprint with precision from any direction. You can also save the fingerprints of your loved ones and trusted ones who can have access to your phone too. 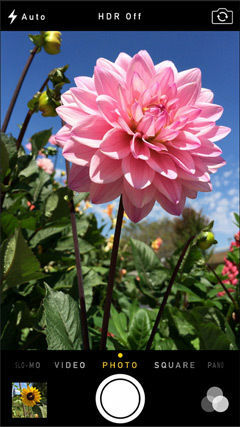 iSight Camera Click an amazing photo anywhere, anytime! 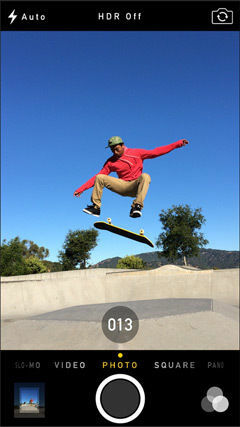 iSight camera becomes even better with iPhone 5S. It has larger sensor, larger pixels and larger aperture so that you can click superb pictures at anytime of the day. Capture multiple shots of any action by clicking 10 photos per second with the continuous burst mode. Boost up your photography creativity with the True Tone Flash in iPhone 5S- a white LED and an amber LED flash light gives you the option to light your subject as per your wish and adjust the color temperature by using over 1000 unique combinations of light. Get better quality pictures with Auto Image Stabilization as it reduces the noise and blur in the photo due to shaky hands or moving subjects. Apart from this, with this fantastic 8 MP iSight camera you can shoot slow-motion video, Panorama shots, and use photo filters as well. FaceTime HD cameraConnect with your friends and family instantly like you are sitting right next to them with FaceTime HD camera. FaceTime video call enables you to talk to your loved ones face-to-face. The HD camera has larger pixels and an improved backside illumination sensor so that you can video call in any light conditions. This feature also has an audio-only feature that shuts down the video and allows you to simply talk over it in case if you don't wish to show yourself to the person. Ultra-fast wireless. More coverage than ever before. iPhone 5s supports more networks therefore you can have access to even better and fast downloading and uploading speeds. Take advantage of ultra-fast networks as you go along since plenty of carriers already support iPhone and many more are joining. Built-in apps iOS 7 comes with an amazing collection of apps for every other thing that you would like to do on your phone- emailing, texting, shooting and sharing images or videos, getting directions, browsing the web etc. All these built-in apps are optimized to take the advantage of A7 chip's high performance. iCloud- Everything you need anywhere! With iCloud you can use your content anywhere you want no matter what you are using, an iPhone, iPad, iPod, or Mac. With the help of the new iOS 7, this task gets much more easier. 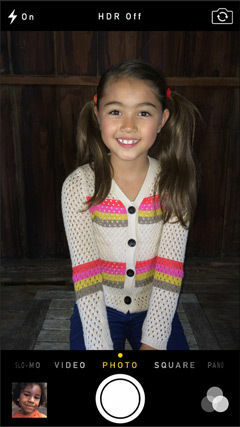 You can share photos with your friends using an iOS devices even through your iPhone. It gets easier to make comments or share post with these devices. It also has a new Activation Lock Features that does not allow anyone except you to sell or use your device.